The TP3 is a unique, highly personalized portable radio designed with maximum flexibility in mind. This durable, cost-effective portable is available in analog and DMR Tier 2, with two models to suit all budgets and requirements. Watch below for an introduction to all of the great features and benefits. The edgy design of the TP3 allows you to upgrade, customize and personalize your radio fleet. With the power of change in your hands, the benefits and possibilities are endless. Watch below for an introduction to what the TP3 offers. Download the brochure for an overview of all the TP3 has to offer, including personalized label examples. The TP3 series supports labels in four different locations to help with personalization and customization. 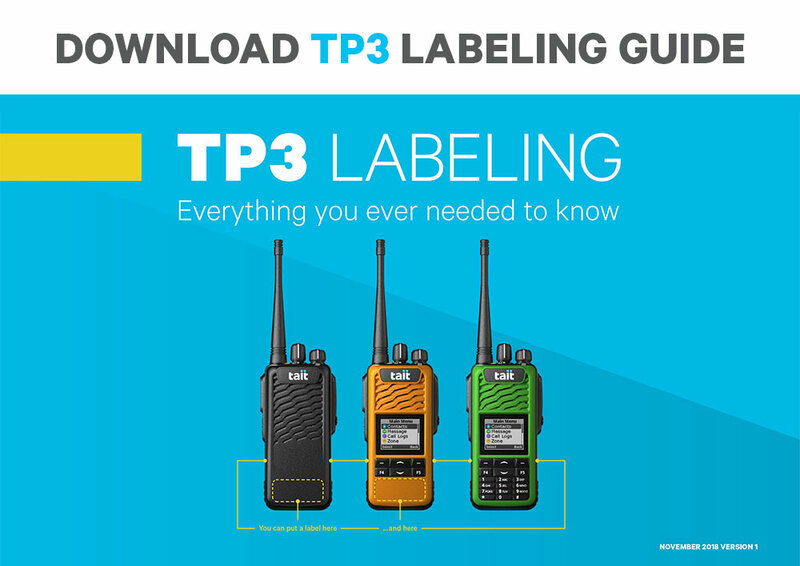 This handy guide contains everything you could possibly need for design, print and application of labels for your fleet of TP3 radios.